The 2018-19 Careers Beyond Academia Series is co-sponsored by the Office of Postdoctoral Services, The Graduate School, and the Career Center. Wondering what to do if the bench isn’t for you? Medical/Scientific Writing is one of the fastest-growing careers for PhDs in the sciences – would you like a PAID, part-time internship to introduce you to this field? If so, please join us to learn about potential careers and a PAID internship in medical and scientific communication. Whitsell Innovations (https://www.whitsellinnovations.com/) is a certified woman-owned, full-service medical and scientific writing company headquartered in Chapel Hill NC with writers in 11 US states. Ann Winter-Vann, Senior Writer at WI (and Duke CMB PhD), will speak on “The Scope of Medical Communications.” The presentation will provide an overview of careers for PhDs who are interested in combining their scientific acumen and writing skills. She will address medical writing for pharmaceutical, biotech, and device companies, including the documentation required for submissions to the Food and Drug Administration (FDA) during the pre-clinical and clinical development process. She will also address how industry clients use medical writers to share clinical data in manuscripts, training materials, and presentations. Dr. Winter-Vann will also discuss the WI Internship Program (https://www.whitsellinnovations.com/careers/). Now in its 8th year, this opportunity is an 18-month, part-time, paid internship available to researchers who are interested in a career in medical writing. Career fairs and other types of employer events are great opportunities to connect with recruiters or hiring managers, explore career opportunities and practice your communication and networking skills. Preparation is key in order to have a successful experience. This interactive session will focus on the strategies and tools you can incorporate in order to prepare for these events and stand out as a candidate. WHERE: This event will take place via Zoom Videoconference. Registrants will receive a Zoom link prior to the 1/15 session. 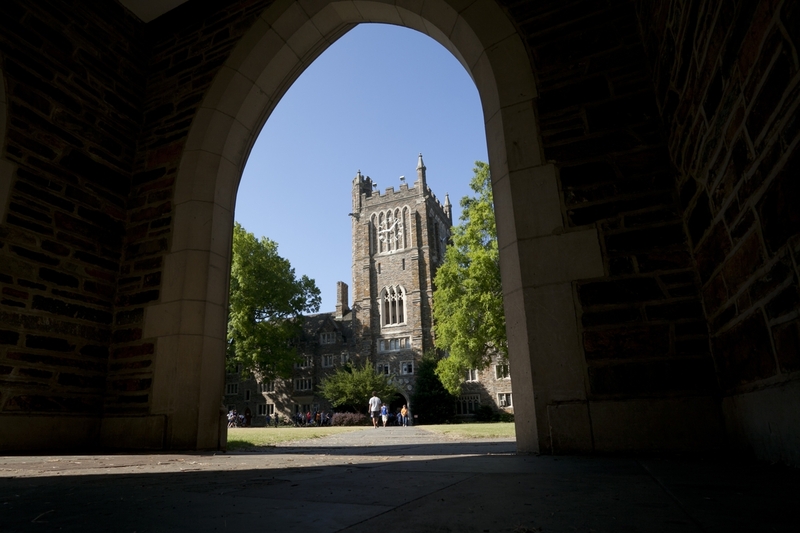 This year, Duke humanities PhD students can apply for “pre-created” internship opportunities with seven different off-campus organizations. Representatives from the National Humanities Center, the Durham History Museum, Stagville State Historic Site and other organizations will be on hand to chat with students about the opportunities. Former VH @ Duke interns will discuss their experiences as well. Cover letters are very common in the US and provide you with an opportunity to convey your interest in a position and how you can contribute to the organization’s success. In this session, you’ll discover what employers are really looking for, how to analyze a job description and create a persuasive cover letter. Please bring a laptop in order to create or polish up your draft and get feedback. WHERE: This event will take place via Zoom Videoconference. Registrants will receive a Zoom link prior to the 1/23 session. The 2019 Competition for the Mellon/ACLS Public Fellows Program will soon be announced, with a deadline in March. The Mellon/ACLS Public Fellows program places recent PhD graduates from the humanities and humanistic social sciences in two-year staff positions at partnering organizations in government and the nonprofit sector. Interested in learning more? Join us for lunch and a videoconference with John Paul Christy (ACLS Program Director) and Abbie Langston (Duke Literature PhD ’14; Mellon ACLS Public Fellow ’15-’17). We’ve all heard that networking in essential for your career but many of us find it awkward and aren’t sure how to do it effectively. In this session, you’ll learn strategies for approaching networking events (ranging from academic conferences to industry events) and practice the actual conversations you might have in those settings. We’ll also teach you about the best ways to conduct outreach meetings and how to maintain your professional relationships over time. Are you interested in working in Washington, DC for an internship or professional employment? 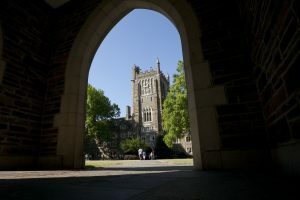 Learn how best to prepare for the experience as well as leverage your Duke connections in the area once you arrive. Our speaker is Christopher Simmons, Duke’s Associate Vice President for the Office of Government Relations. Searching for a job or internship can be a stressful experience. In this workshop, learn techniques for managing stress and how to apply those techniques throughout the job search process. A large part of how we define ourselves and how others define us is based on what we do for a living – our professional identity. But what happens when we are no longer a [fill in the blank]? How do we deal with the loss of self, the loss of professional status, the loss of affiliation with an elite group that we’ve been aligned with as long as we can remember? The overall loss of identity that we feel when we decide to leave academia is comparable to healing after the loss of a loved one or after the breakup of a long-term, and possibly dysfunctional, relationship. Letting go can be difficult, but we have to let go and give ourselves permission to grieve before reaching a point where we are ready to commit to making a career change. In this informative session, participants will learn about the emotional obstacles that can keep us stuck in an academic career path that is no longer fulfilling. Participants will also learn how former postdocs and graduate students found the courage to follow a more rewarding career path. – Strategies for letting go and moving on to form, and eventually embrace, a new professional identity. – Resources that can help you navigate through the transition phase and into a more rewarding career. Whether conducted in-person, virtually, or via phone, interviews are a time to tell your story while clearly conveying your skills, interest and overall fit for a specific position and organization. In this workshop, you will learn useful strategies to prepare responses and practice answering some of the most common interview questions while receiving constructive feedback. The focus will be on positions outside of academia. We will practice behavioral style questions, not case or technical interview questions. You do not need to have an upcoming interview to attend this workshop but please bring along a description of an opportunity (job, internship, etc.) that you are interested in. How can you capitalize on the skills you’ve developed through the many hours you’ve devoted to teaching? These skills can help you position yourself for success in industry, government, nonprofit, or academic administration. In this interactive workshop Dr. Melissa Bostrom, assistant dean for graduate student professional development, will help you uncover how our teaching experiences are an ideal way to help potential employers understand the crucial skills we’ve learned in graduate school—skills that are transferable to a variety of careers beyond faculty positions. Feeling overwhelmed by the idea of choosing a career after graduation or following your postdoctoral appointment? Learn how to design an effective method for exploring, evaluating and deciding on the next steps in your career. No matter where you are in the career decision-making process, this workshop can help you! The skills you develop in a graduate program are highly desirable to consulting firms. In addition to data gathering, breaking down problems into manageable pieces, and articulating possible solutions clearly, recruiters are looking for candidates with strong analytical skills. While you may have heard of the big-name firms, the consulting industry stretches far beyond a few organizations in large metropolitan areas. Companies vary in terms of organizational culture, levels of client interaction, travel expectations and the ability to work internationally. To learn more about the field, a panel of consulting professionals from 4 organizations, ranging from 8 to 28,000 employees, will speak about their career path and the pros and cons of working at a firm of their size. Andrew George, PhD (Duke ’18 Biology), Senior Consultant at Thrivner, Inc.
Are you curious about how you can apply your research skills in a consulting career? Join us for this workshop offered in collaboration with the APD Consulting Club to learn about careers in consulting for graduate students and postdocs and to practice a mini-case interview. In this workshop, learn critical skills for success as a student and beyond! The presentation will discuss topics such as building confidence, managing your time and energy, setting and achieving goals, and developing a healthy mindset. Jeff will also share insights into the decision and process of starting his own business. Speaker: Dr. Jeff Coleman, Owner of Coleman Performance Group, LLC, is a Certified Mental Performance Consultant with over 20 years of experience guiding individuals and groups to greater wellness, academic success, and performance excellence. His passion lies in not only helping individuals overcome obstacles, but also realizing their full potential in whatever career path they may choose. He holds a BA in Psychology, an MEd in Kinesiology, and a PhD in Educational Psychology. Designing experiments in industry can differ substantially from academic research. For example, there is often not enough time, money, or resources to test all of the variables in a system. In this interactive workshop, Geoffrey Hird, PhD, and Christina Hofmann, PhD, will walk participants through the experimental design process they use at Liquidia Technologies when engineering drug particles to transform the lives of patients. Attendees will learn about product development, quality by design, factorial designs, and other principles that industry scientists use. A hands-on activity will also provide an opportunity for participants to apply these principles to an experimental system. Speakers: Geoffrey Hird is a Duke alum (PhD ’01, Chemistry) who is currently the Executive Director of Pharmaceutics and CMC at Liquidia Technologies. He has previous experience at Eisai and Stiefel (a GSK company). Christina Hofmann is also a Duke alum (PhD ’15, Biomedical Engineering) who is currently a Senior Scientist in Pharmaceutical Development at Liquidia Technologies. If you have already been meeting professionals in your fields of interest but aren’t sure where to go from there, then this workshop is for you. In this interactive session you will learn how to maintain and deepen your professional relationships over time and also how to utilize your network while in an active job search. Join us for an informal lunch conversation about career paths through academia and industry with three Duke PhD alumni now working at Liquidia. During this discussion, graduate students and postdocs can gain insights on how to succeed in the pharmaceutical industry. Since September 2015, Dr. Robert Roscigno has been Senior Vice President for Product Development at Liquidia. Previous roles include Executive Vice President, Global Clinical Affairs at GeNO LLC, where he led the clinical development team working on a novel nitric oxide delivery system, and President and COO of Lung Rx, Inc., where he was responsible for bringing the company’s lead product, Tyvaso®, successfully through Phase 3 development. He also spent a decade in multiple leadership positions at United Therapeutics Corporation where he helped transform the company from a start-up to a multi-billion-dollar company. Robert has more than 20 years of drug development experience relating to pulmonary hypertension, is the co-inventor on five US patents and has published numerous articles in scientific journals. Dr. Geoffrey Hird is Executive Director of Pharmaceutics and CMC at Liquidia Technologies. After completing his PhD at Duke in Chemistry and spending over a decade at Eisai as Principal Scientist for the Formulation and Drug Delivery Technology Group, Geoff became Director of Early Topical Formulation Development at Stiefel, a GSK company. Three years ago, he assumed his current position with Liquidia Technologies leading the Pharmaceutics and CMC function. For the past eight years, he has balanced his industry roles with academic experience as an Adjunct Associate Professor at UNC’s Eshelman School of Pharmacy. Networking is one of the most effective approaches to getting your career on the fast track. Yet, for a variety of reasons (eg, shyness, fear of “schmoozing”), we often fail to make networking an active part of our job search – even though it’s the way most people get their jobs! In this workshop, you will learn the keys to tactful networking along with easy-to-use strategies for face-to-face conversations, making email connections, and the appropriate use of social media. Speaker: Dara Wilson-Grant is Associate Director of the UNC Office of Postdoctoral Affairs and a Licensed Professional Counselor. With over fifteen years experience providing career education and counseling, Dara’s mission is to help individuals develop a framework for choosing a meaningful and rewarding career path, plus develop the skills necessary for a lifetime of career success. Making small talk is an essential skill that is important for your professional and personal life. Events like conferences, department gatherings, industry sessions and other social situations may require you to be adept at this. It is even important during the interview process. If small talk makes you nervous, come to this interactive workshop where you can practice topics to discuss, strategies for approaching people, entering/exiting conversations gracefully and how to follow-up with people afterwards. Elite international development organizations like the World Bank and the United Nations seek technical experts in science, engineering, and policy fields to help solve some of the world’s most pressing problems. Deep experts who can lend insight into issues such as climate change, gender, governance, energy, and water and sanitation are in high demand by employers such as the Gates Foundation, the Brookings Institution, and Oxfam; and locally, by organizations like RTI and FHI 360. If you would like to learn more about the different types of employers in international development and the kinds of skill profiles they are seeking, join Caroline Korda Poole for an interactive session that will help you make sense of this crowded field. From geographic considerations to in-demand skills, salaries, and other benefits, Caroline will help you understand the complex and competitive job market in international development and will help you focus on the organizations and roles that would be the best fit for you. You will leave this workshop with a clear understanding of the different types of employers in international development and the specific talent they are seeking. You will be able to create a targeted list of potential employers that fit your skills, background, and interests, and will have an idea of how to best position yourself to find opportunities at the organizations that are right for you. Speaker: After almost 15 years working in international and community development and with extensive experience advising mid-career, international graduate students on careers in development, Caroline Korda Poole launched Centered Career, a career development consultancy with an emphasis on careers in international development. Prior to creating Centered Career, Caroline was the Assistant Director of Professional Development for the Duke Center for International Development, where she advised mid-career students in the Master of International Development Policy program on jobs and internships. Caroline also worked at Touch Foundation, a social enterprise focused on building health worker capacity in East Africa and launched out of McKinsey and Company’s New York Office. Caroline has a Masters in Public Health from the Gillings School of Global Public Health and was a Peace Corps Volunteer in Togo, West Africa. Conferences can be wonderful opportunities to showcase your research, learn from others in the field, and also develop a strong network of people who can impact your professional growth. In this workshop we will practice making small talk and networking with others during a conference. We’ll also cover tips and strategies on what to wear, how to ask engaging questions during sessions and the best ways to prepare overall. Are you planning to pursue a non-academic career path? If so, you will need to prepare for a style of interviewing that is quite different than the academic interview process – from the interview structure to the types of questions asked. Special attention will be given to a common HR/industry method of interviewing called behavior-based interviewing. Come learn about an exciting career option in the biotech and pharmaceutical industry from Heather Vita, PhD (‘04 Pharmacology), a Senior Medical Science Liaison (MSL) at SAGE Therapeutics. She has held previous MSL roles at Teva Pharmaceuticals and UCB with expertise spanning epilepsy, migraine, movement disorders and women’s mental health. She received her PhD in Pharmacology from Duke University in 2004 with a focus in neuropharmacology and a certificate in Toxicology. Heather received her Bachelor’s Degree in Neuroscience and Mathematics from Colgate University. Make the most of your time and energy when searching for a job or internship. Learn how to identify your skills, plan a targeted search, conduct informational interviews and build a job and internship search plan that works for YOU. Leave with resources for where and how to search for opportunities and clear next steps to take in your process. Are you curious to learn about the variety of careers people pursue after graduate school or a postdoc? If you would like some guidance on how to explore your career options with the support of a small group, then please join us for this 5-week series! Trained counselors will guide you through the career exploration process and help to connect your skills, interests and values to a wide range of occupations, then make decisions. You will also learn how to effectively connect with alumni and other professionals to build a strong career community. These are lifelong skills you will need time and again, not just for your next job search. This series is intended to be exploratory and most appropriate for those who plan to graduate or finish their postdoc in December 2019 or later. It is open to people from all disciplines who plan on pursuing any type of career path, inside or outside of academia. For maximum benefit, participants should commit to meeting once a week for 5 weeks with some homework in between meetings. Meetings will be held on Thursdays: Mar 21, Mar 28, Apr 4, Apr 11, Apr 18. Online tools such as LinkedIn, portfolios or personal websites can be useful opportunities to promote yourself. If you would like assistance creating or polishing your online presence then join us during this hands-on “lab” where you can look at samples, receive tips and get immediate feedback. Please bring a laptop or smart device to work and make edits. Life as a graduate student can be complex and challenging. For graduate students and postdocs in committed relationships, the irregular work hours, high expectations, and sudden changes in priorities can create difficult situations. In this workshop, learn strategies for maintaining healthy relationships while in graduate school/postdoc appointment. In addition to personal relationships, you’ll learn how these strategies and tools can apply to professional relationships which will be beneficial throughout your career. Feel free to bring your lunch to this event! Alumni Katherine Alser Kim, PhD ’16 (Chemistry) and Bumki Kim, PhD ’16 (Chemistry) will be joined by Senior Research Fellow Warren McKellar, PhD to share their career paths and insights on working at Eli Lilly and Company. They will also discuss postdoctoral fellowship opportunities for trainees in chemistry, biology, biochemistry, and analytical sciences, including a current opening for a postdoctoral scientist in Technical Services & Manufacturing Science (https://tinyurl.com/y2kkz2ul). Please join this informal session to learn about Lilly and its employment opportunities. Note: Lilly representatives will hold on-campus interviews for the open position on Thursday, March 28. Interested applicants must apply online to be considered for an interview. Qualified candidates must be legally authorized to be employed in the United States. Lilly does not anticipate providing sponsorship for employment visa status (e.g., H-1B or TN status) for this employment position. Come learn about teaching and conducting research at an elite private school from Andrew Ruoss, PhD ’17, Instructor in History and Economics at Hotchkiss School in Lakeville CT. He joined the Hotchkiss faculty in 2017 after earning MA and PhD in History at Duke. His academic research focuses on global political economy, and he is a recipient of international fellowships from the Fulbright Commission, the Mellon Foundation, and the SSRC. In addition to teaching and research, he is a member of the Curriculum Review Committee for Interdisciplinary Teaching and he serves on the Humanities Program Design Team. He also heads the Hotchkiss All-Gender Residential Program and is the assistant coach for varsity & JV cross country.Andrew will speak about to process of applying to jobs at private secondary schools, his teaching interests, and common co-curricular responsibilities at prep schools. Let’s face it, for most of us, the negotiation process is one of the most stressful parts of the job search. Not long after the initial excitement of receiving an offer comes panic followed by dread. – Do I negotiate for more money and risk seeming pushy or ungrateful? – Will I lose this opportunity if I negotiate for too much? – What should I ask for? If one or more of these thoughts swirl through your head when you think about salary negotiations, you are not alone! This workshop is a step-by-step guide to navigating the negotiation process, especially when it comes to managing your emotions. Are you interested in a career in research program management? Would you like to stay involved with cutting-edge academic research, just not necessarily at the bench or as a PI? The Duke Human Vaccine Institute (DHVI) has an exciting opportunity for PhD researchers to remain actively engaged in groundbreaking original research with our team of enthusiastic and collaborative scientists. As a Program Manager, you will work with the DHVI scientific teams to coordinate, evaluate, and manage scientific milestones and research grants/contracts. Come to this info session to learn more about what PhDs at DHVI do, and about the Program Manager II position currently open to PhDs – description below! The Duke Human Vaccine Institute (DHVI) and the Duke Center for HIV/AIDS Vaccine Immunology & Immunogen Discovery (CHAVI-ID), under the direction of Dr. Barton Haynes, providing national and international leadership in the fight against major infectious diseases, is currently recruiting for a highly motivated individual to join our Program Management team. The Duke Human Vaccine Institute is an interdisciplinary, interdepartmental institute dedicated to the study of basic and translational science required to understand host-pathogen interactions that can be translated to vaccines against human diseases. We are a team of highly interactive investigators that have expertise in mucosal and systemic virology, immunology, molecular biology, microbiology and animal models. The Program Manager will be responsible for working with the DHVI leadership in the coordination, evaluation, and scientific management of post award research activities for grants/contracts and serve as a resource for DHVI investigators with management of all pre-award activities related to the submission of research grants/contracts and post award management of research programs within the DHVI. In addition, the Program Manager will work with principal investigators to programmatically administer the DHVI training program. Qualifications: The ideal candidate will have a Bachelor’s degree in healthcare or science related field. A PhD and experience working with grants is a plus. The position requires a minimum of four years of administrative program experience in a healthcare, medical or research setting. Advanced degree can substitute for the experience requirement. Candidate must have a demonstrated ability to prioritize tasks, simultaneously work on multiple projects, meet deadlines and communicate effectively. Interested in continuing your scientific career at an established and innovative global life sciences company – based right here in NC? At LabCorp, you will have the opportunity to be mentored by renowned experts in state-of-the-art labs; publish; present internally and externally; and have a direct impact on improving human health. LabCorp, headquartered in Burlington NC, provides comprehensive clinical laboratory and end-to-end drug development services. Employing nearly 60,000 employees worldwide, the company’s mission is to deliver world-class diagnostic solutions, bring innovative medicines to patients faster, and use technology to improve the delivery of care. LabCorp typically processes tests on more than 2.5 million patient specimens per week and supports clinical trial activity in approximately 100 countries through its industry-leading central laboratory business, generating more safety and efficacy data to support drug approvals than any other company. LabCorp is hiring PhDs for multiple positions. Please join us at this info session to learn more about careers at LabCorp! Ben Maynor, PhD (’04, Chemistry) is the Senior Vice President of Research and Development at Liquidia Technologies. Dr. Maynor, a co-inventor of Liquidia’s PRINT® technology, has initiated several new drug delivery technology initiatives at Liquidia since joining the company in 2005, including programs in inhaled drug delivery, ophthalmology, and other therapeutic areas. At this session, Dr. Maynor will share his experiences in taking a technology from the bench to the clinic and everything he learned along the way. Dr. Maynor’s research at Duke focused on nanotechnology and materials chemistry. He also holds a BA in Chemistry from Harvard University. He has co-authored over 20 peer-reviewed publications in the fields of drug delivery, nano-technology, and colloid science and is a co-inventor of several patents and patent applications in nano-technology and drug delivery.